It's that time again. The time when sneakerheads get their computers ready and set their alarm clocks. The next Jordan rerelease is set to drop this Saturday and it's a reverred one. The Jordan VII was originally released in 1992 and it's what MJ was wearing when he helped the US Olympic Mens Basketball Team bring home gold in Barcelona that year. I won't even go into detail how available but EXTREMELY quick-selling these sneakers will be on Saturday. 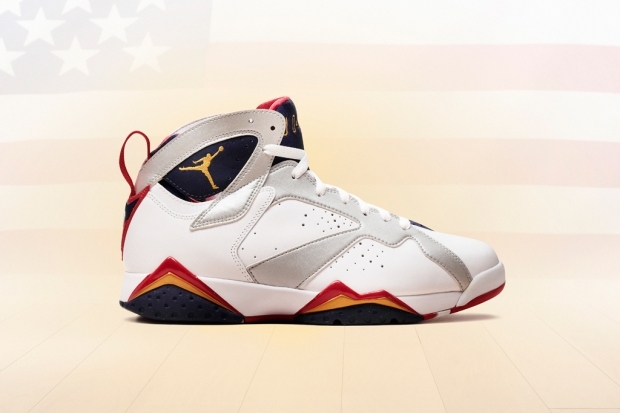 Much like Jordan in 1992, if you plan on snagging a pair, get your game plan together NOW. Available at Jordan retailers July 21 and online at retailers like FootLocker.com and FinishLine.com.